MAÑANAAAAAA, NO MIENTAS NO TENES NADA MEJOR QUE HACER Y ACA LA VAS A PASAR GENIALLLLLL !!!!!!!!!!!!! INVITADXS Y BIENVENIDXS TODXS!!!!! 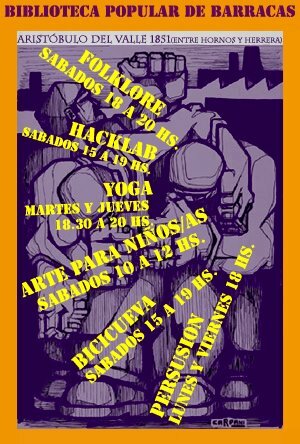 ACTIVIDADES, TALLERES,AUTOGESTION, BANDAS, MUSICA, COMIDAS, BEBIDAS!!!! VENITEE A PASAR UN GRAN SABADO DE UNA LINDA COMPAÑIA !!!!!! TE ESPERAMOS! !